J.D. 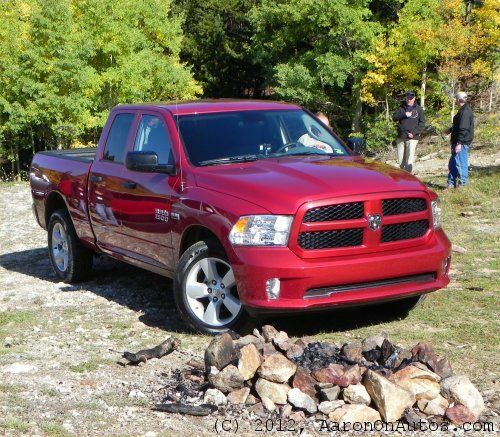 Power and Associates has named Ram Truck the most improved brand in its 2013 dependability study. The overall industry average improvement was five percent, but Ram still doesn't rank first. The Ram Truck brand has improved its dependability ranking in the latest J.D. Power and Associates annual study, going up by 30% compared to the industry average of 5%. Ram Trucks now rank ninth in the industry. Being the most-improved brand in the 2013 U.S. Vehicle Dependability StudySM is a good thing for the pickup truck arm of Chrysler-Fiat. This year's study found that Ram vehicles have a 30% lower rate of problems per 100 vehicles than they did in 2012 based on responses from 37,000 surveys of 2010 model year vehicle owners. So the results reflect the 2009-2010 refresh updates rather than the all-new, current-generation 2013 Ram series. Still, the improvement is good news for Ram and its affiliate brands as the quality improvements spearheaded by those trucks are now standard in the Chrysler Group lineup of brands, starting in 2011 and going forward. “When we redesigned the majority of the Ram lineup in 2009-2010, customers immediately took notice of the interior refinements and improved ride,” said Doug Betts, Senior Vice President – Quality, Chrysler Group in a press release. “After three years in service, owners are now experiencing the benefits of all the behind-the-scenes development we did, including enhanced durability testing and more stringent quality targets." The new 9th place ranking puts the Ram Truck brand up by twenty positions from last year. The top ranked pickup truck in the J.D. Power study was the 2010 GMC Sierra HD while the top ranked nameplate overall was Toyota's Lexus with the Lexus RX becoming the first SUV to hold the distinction of having the fewest reported problems in the report. The top five nameplates were Lexus, Porsche, Lincoln, Toyota and Mercedes-Benz. The two manufacturers with the most awards were Toyota with seven segment awards and General Motors with four.